It’s Monday, January 21st – and NBC 6 has the top stories you need to know for the day. No. 1 - Weather wise, it’s a chilly Monday morning in South Florida and it's all due to a cold front sweeping through the United States. Most of the area woke up in the 40s and highs will only reach the mid-60s. No. 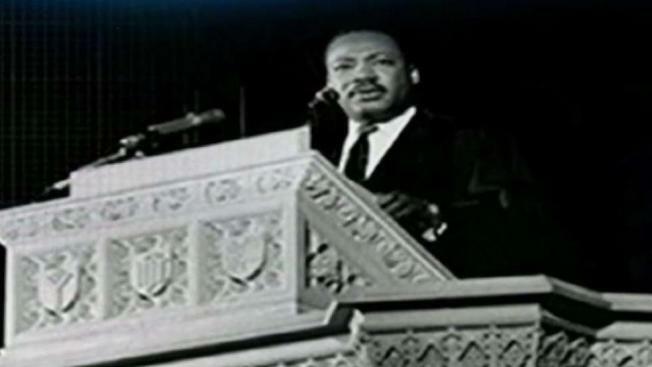 1 – South Florida honors legacy of Dr. Martin Luther King Jr.
We hope you have had a peaceful day reflecting on Dr. King's message and mission of service and justice to each other! Events have taken place all over our community to honor the slain civil rights leader, but so have thousands of motorcycles and ATVs all weekend long as part of the annual "wheels up, guns down" ride out. It is illegal to drive an ATV or dirt bikes along the highways as police have been out in full force all weekend. It's how the New Orleans Saints lost to the Rams that everyone is talking about. The ref didn't call a pass interference, so the Rams were able to make the game-winning field goal kick. The NFL acknowledged the missed call, but not until after the game. Here are some facts that are going to impress your people: the Rams and Patriots last met in Super Bowl 36 after the 2001 season. It's going to be the ninth super bowl appearance by the New England combination of Tom Brady and head coach Bill Belichick. If you're planning on going to the big game, prepare to pay up as SeatGeek's average price for a ticket is over $5,000 with the cheapest about $3,000. The most expensive ticket on the site is $14,000. Marquette University honored one of their all-time greats by retiring Wade's number 3. Marquette pulling out all the stops, surprising DWade by flying his family to the game. This weekend was also Wade's last time playing in his hometown where the Heat beat the Chicago Bulls. The comedian made jokes about his troubling Instagram post back in December during a sketch and joked about his public suicide threat, to which co-star John Mulaney responded by reminding him he is loved by many.